Posted in Latest News on December 20, 2018. On October 7, 2018, Governor Rick Scott issued an Executive Order declaring a state of emergency in Florida, for Hurricane Michael. Any CEU's that you complete within the 3/1/19 to 2/28/21 will be applied to that respective renewal period. The only instance where these hours could be applied to the prior cycle is if you enter a new renewal cycle but the prior cycle still needs hours to be complete, but if you've already completed those prior cycle hours ,then they'll apply towards the current renewal cycle that you're currently in at the time. In some special instances, Florida OTs are required to provide their updated licenses to maintain their approved status with payers and other governmental agencies. Please do your best to notify your relevant agencies that this extension has been ordered. 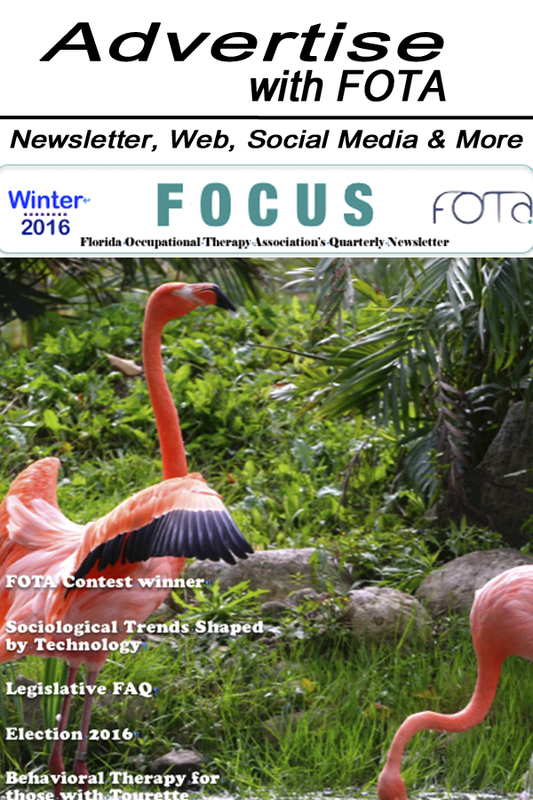 FOTA has requested that the the Florida Board of Occupational Therapy contact other state governmental to make all aware of this extension. In closing, as President of FOTA, I recommend that every OT practitioner do their best to complete all the necessary CEs and to renew their license as soon as possible. This licensure renewal extension was intended for those suffering hardship and delays related to the Hurricane, and it was not intended to be taken advantage of by the whole of OT professionals in the state. You can avoid any undue complications, or unforeseen difficulties by renewing before the original date. That's my advice. If you have further questions or concerns please contact [email protected] . All the best to you in this new year and licensure period.